If you have seen any of the more than 100,000 Transport cargo trailers on the road, you know how hard they work. 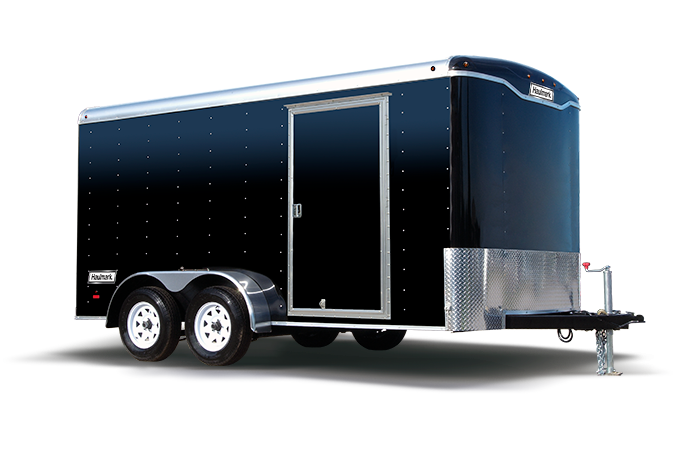 The Transport boasts the same heavy-duty features as all Haulmark cargo trailers, including a structural gauge steel frame, heavy-duty hinges on the rear doors and 3/4" DryMax High Performance Decking. The 7' wide Transport features a standard side door for easy access to your cargo, and an aluminum top edge wrap that resists denting and adds additional strength to your trailer. When selecting your Transport, you can choose from a variety of sizes. The 7' wide Transport offers lengths from 12' to 16'.